I love my sports car, but need a family car! In my early 20’s I leased a nice and tiny 2-door sports car. At the time it was perfect for my needs, I was dating my now husband and we didn’t have children. I didn’t need much space just something that was compact. After the four year lease, I decided to purchase the car. It seemed like a great idea at the time, but little did I know six months later that would all change when I read the positive pregnancy test to my husband. Gone were my needs for a two-door sports car! Obviously, I didn’t have the money to invest in a new car, so my newly bought car soon turned into a nightmare. If getting a baby carseat into the backseat of two-door car sounds like a nightmare than imagine actually having to do it on a daily basis. I swear for the first year while our daughter, Ava, was in a portable carseat I became doubled jointed and a master at contouring my body to get that thing out! Now at two years of age, she sits in a forward facing carseat, but things are not much better. Yes, I no longer have to contour my body, but I get constant kicks in my back because the seat is so close to her feet! To make matters worse the trunk area of my car is excruciatingly small. I had trouble getting stuff into that thing before I had my daughter, so imagine how hard it is trying to get a stroller inside without breaking a wheel or handle. I constantly dream of driving a big family car, so I couldn’t refuse when given the opportunity to test drive Honda’s 2014 Odyssey Touring for a week . When I was in my 20’s having a big minivan sounded like a nightmare, but now it sounds like a godsend! The Odyssey has won a multitude of best family car awards and safety awards. To say the least, I was excited to get a week of relief from my tiny non-family car! The Odyssey is not your typical minivan. Honda has done away with the typical minivan exterior and instead designed a refreshed, sleeker and more sophisticated styling that catches your eye. In a sense, the Odyssey looks like a big sports car rather than the bus like look of a typical minivan. The rear roofline spoiler, LED taillight bars and 18” aluminum-alloy wheels give the car a sporty exterior design. This is a great change, for someone like me who loves the sporty exterior of my tiny car, but needs something that is more family friendly. You could say, the Odyssey is the best of both world. 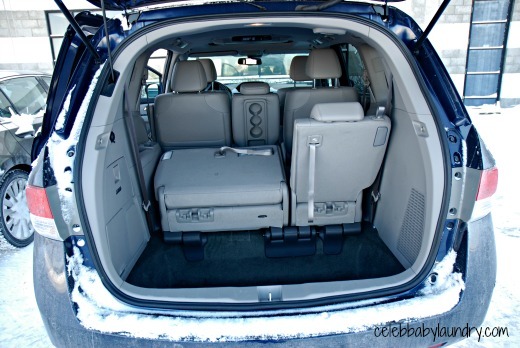 The inside of the Odyssey is roomier than most minivans due to the functional design of the seating. Seating up to eight people, a family will never feel like they’re sitting on one another again. Anyone that has small children will know that child seats take up a lot of room. In most cars, you can only fit one child seat at a time, but in the Odyssey you can fit up to five child seats. Obviously, making life easier if you are looking to expand your family over the years. The wide-mode adjustable 2nd-row allows you to move the outer seats to the side, giving adult passengers more space to stretch out their arms and legs. Something I worried about was moving the seats, but it was easy with the Odyssey. The One-Motion 60/40 Split 3rd-Row Magic Seat, for example lets you create extra room in seconds. Simply pull on the seatback’s strap and the seat folds itself away neatly into the storage. Sitting in the driver and front passenger seats is not to shabby either. The seats are luxuriously made of leather, have a wide width and are heatable during those cold Canadian winter months. 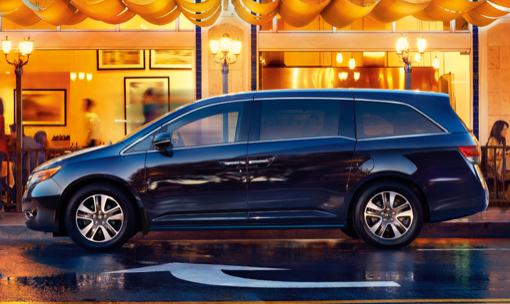 On the driver side you will never have to worry about trying to get the seat in just the right position after your spouse uses the car because the Odyssey has the ability to program two different seat positions in memory. 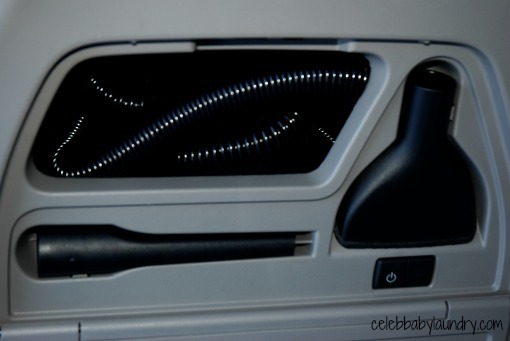 One of my favorite features of the Odyssey is the cool box installed in the front of the car. This may seem like no big deal to a non-parent, but I can’t tell you how handy this is if you have small children. 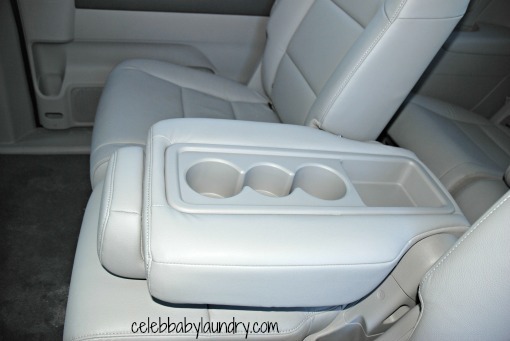 Never again does a mom have to worry about their baby’s milk getting warm while shopping or taking a road trip. I used to take icepacks with me to keep Ava’s milk cold. Talk about a pain! If that was not enough, the Odyssey comes with Honda Link which is basically a computer operating system in your car. 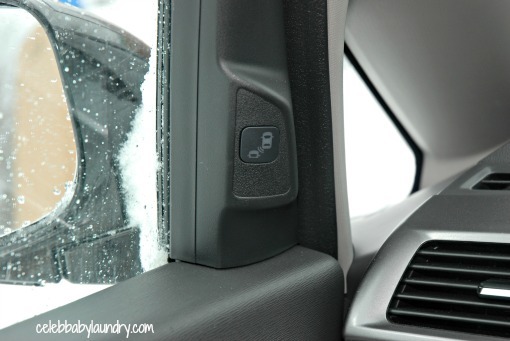 The first time sitting in the minivan I felt like I pilot there were so many options to discover with the Honda Link. It controls all the entertainment features within the car and also comes with GPS navigation and blutooth capability. As a mom, I can’t say how much these features add to the quality of my driving experience. You never have to worry about using my iPhone in the car because as soon as you walk in the car the phone connects to the system. I can make hand free calls, listen to the music from my iPhone in the car without having to do anything. The GPS allows you to find the nearest grocery store, gas station or anything else that you need within close proximity. Being a family vehicle, safety was paid particular attention to when designing the Odyssey. It earned a 2013 IIHS Top Safety Pick and is the only minivan with a 5-Star Safety Rating from the NHTSA. The 2014 version has taken safety one step further with its Advanced Compatibility Engineering (Ace) II body structure which forms a foundation for solid protection, and the comprehensive cabin airbags surround passengers for an added layer of safety. This includes Smartvent side airbags, designed to deploy safely in a manner that mitigates the risk of injury to smaller occupants. • energy-absorbing hood and front fenders, and breakaway wiper pivots. The Odyssey is also made for the family that loves road trips. My aunt travels each year to Florida, yes you heard me right, she drives with her whole family to Florida from Montreal! She complained for many years that her car was too small to make that kind of trip with two twin boys. Well, with the Odyssey the trip will seem like a piece of cake. Children will feel like they’re still in the comfort of there home while driving to your destination. 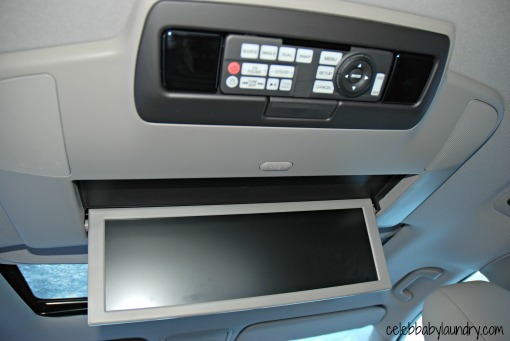 The rear of the car is equipped with a wide flat screen. 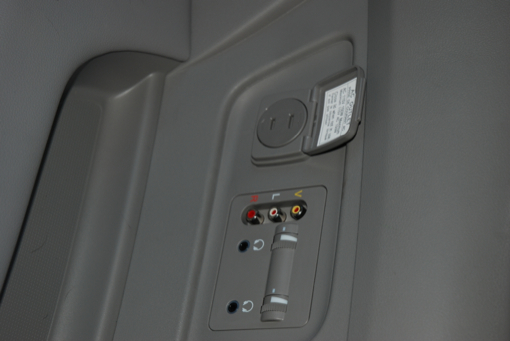 There is every type of input installed in the back, so children can even bring a long their game system to play in the car! Yes, you heard me right! Also, the screen splits in half allowing children to partake in different forms of entertainment at the same time. You’ll never have hear fighting over the entertainment screen again! When I say the Odyssey is loaded with family-friendly features I’m not exaggerating. 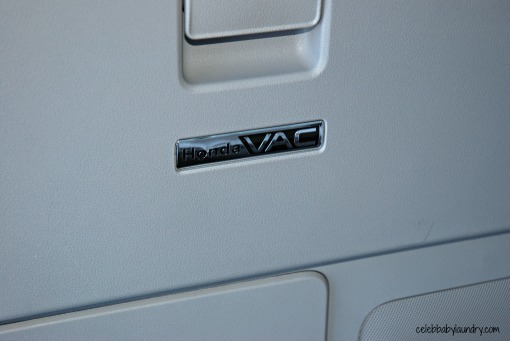 The makers of the Odssesy even developed the Honda VAC, the world’s first in-car vacuum system. It features a replaceable filter, canister bag, nozzle accessories, and a hose that reaches easily to the front seats and beyond — all of which can be conveniently hidden away in a storage compartment in the rear cargo area. Needless to say as a parent to a two-year-old the vacuum would basically come in use whenever she is seated in the car for more than 1o minutes! The Odyssey is also the most fuel-efficent V6 minivan on the market. I drove the car for a week and used less than half a tank which is surprising considering I traveled to and from the South Shore of Montreal with the Minivan. It’s also nice that technology installed within the minivan doesn’t eat up the gas either. 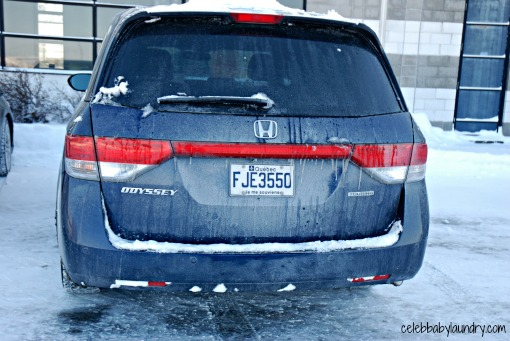 To say the least, I enjoyed driving the 2014 Honda Odyssey Touring. It is the ultimate family minivan, packed with a never ending list of features all while protecting the most important package – our family! One week just isn’t enough! In the future, money permitting we would definitely be interested in owning a Honda Odyssey. To learn more visit Honda Canada.